For a guilt-free dessert that’s just peachy, try these tasty grilled peaches topped with Naturally Friendly’s® Vanilla! ? Place peach halves face down in a pan over low heat and brown slightly. Remove from heat. 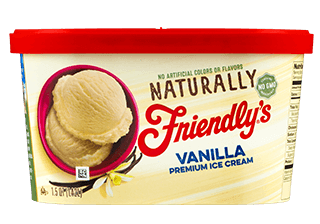 Place peach halves face up on a plate and top each with 1 scoop of Naturally Friendly's® Vanilla ice cream. Drizzle with honey and top with pecans.